The HNSA is proud to be the third arm of the international Historical Novel Society which fosters the reading and writing of the genre with biennial conferences in the UK, US and Australasia. 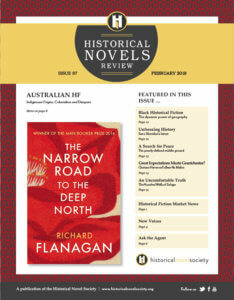 Recently, as HNSA’s program director, I had the honour of writing the feature article for the Historical Novels Review magazine on the state of play in Australian historical fiction. 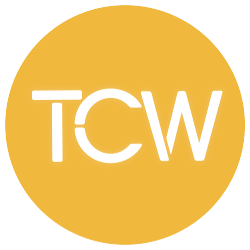 A similar round-up was written by Loren Teague on New Zealand Historical Fiction’s Coming of Age. 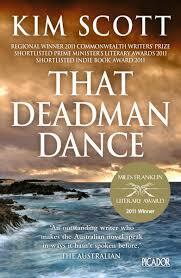 Australian Historical Fiction: Indigenous Origins, Colonialism and Diaspora. Hughes’ cautious prediction was prescient. Keneally won the Man Booker Prize in 1982 for Schindler’s Ark (Hodder & Stoughton, 1982). The book garnered both critical acclaim and commercial success in its depiction of a flawed protagonist who, despite being a Nazi Party member, shows heroism and compassion by saving Polish Jews from slaughter during the Holocaust. 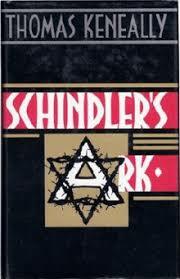 The novel subsequently was adapted in 1993 into Stephen Spielberg’s film, Schindler’s List. Box-office takings and book sales number in the millions. Furthermore, prior to Schindler’s Ark winning in 1982, three of Keneally’s novels were shortlisted for the Booker in 1972, 1975 and 1979. Many of the historical novelists mentioned in this article have been winners of the Miles Franklin (and international prizes) who have made their mark in “world literature” through sharing quintessential Australian stories. Not least of all among these is the inaugural 1957 Miles Franklin winner, Patrick White, who was awarded the Nobel Laureate in Literature in 1973. His body of work includes the historical fiction masterpiece Voss (Eyre & Spottiswoode, 1957), in which the disappearance of a doomed colonial explorer evokes the fear of venturing both mentally and physically into a foreboding interior. My country’s history is one born from Indigenous custodianship and diaspora. Aboriginal and Torres Strait Islander history extends back 65,000 years and has been preserved through the oral tradition of its First Peoples and their mythological “Dreamtime”. In comparison to this prehistoric past, Australia’s European history is brief, commencing in 1788 after the British invasion. Since then, successive waves of individuals from diverse birthplaces have arrived as transported convicts, colonists, refugees or immigrants. They and their descendants see this “wide brown land” as their home. As a consequence, modern multicultural Australia contains a plethora of tales for historical novelists to chronicle in a distinctive voice that resonates within and beyond its shores. The survival of both free and imprisoned occupants of a penal colony thrust into an uncharted landscape is a complex theme often addressed. This intrusive European presence created a “secret river of blood flowing through Australia’s history” due to the massacres, dispossession, spread of disease, and erosion of language and culture inflicted on the First Peoples. Eleanor Dark explored this in The Timeless Land (MacMillan, 1941) with her modernist approach to the first encounter between England’s Captain Arthur Phillip and the Aboriginal leader, Bennelong. Kate Grenville’s The Secret River intensely examines the brutality of the frontier wars and draws attention to how colonialism leaves a bitter legacy when indigenous and white societies possess a shared history. Another novel dealing with the conflict between cultures is David Malouf’s Remembering Babylon (Chatto & Windus, 1993). More recently, Lucy Treloar’s Salt Creek (Pan Macmillan, 2015) and Kim Scott’s That Deadman Dance (Pan Macmillan, 2010) scrutinised this interaction. Scott is the first Aboriginal Australian to be awarded the Miles Franklin. Read the full article at the Historical Novel Society’s website. HNSA Sydney 2019 will be held on the weekend of 25-27 October 2019 at Western Sydney University Parramatta. Elisabeth Storrs is the author of the award winning Tales of Ancient Rome saga, and the co-founder and program director of the HNSA. She’ll be conjuring spells with Kate Forsyth and Kim Wilkins at HNSA 2019 in Love Potions & Witchcraft. The article ‘Australian Historical Fiction: Indigenous Origins, Colonialism, and Diaspora’ is partially republished here by courtesy of the Historical Novels Review. Once again, historical fiction writers and readers can gather for a three stream program on the weekend of 26-27 October including our extended Academic stream on Sunday 27 October. This time there’s also a Craft & Publishing program on Friday 25 October with craft workshops, masterclasses and manuscript assessments with top class tutors. Our Guest of Honour is Jackie French. Keynote speaker Paula Morris will address our theme: History Repeats. 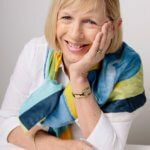 Among the 60 acclaimed speakers are patrons Kate Forsyth and Sophie Masson, Catherine Jinks, Ali Alizadeh, Marie Munkara, Lucy Treloar, Robert Gott, Pamela Hart, Nicole Alexander, Jane Caro, Alison Goodman, Kelly Gardiner, Michelle Aung Thin, Meg Keneally, Majella Cullinane and so many more. Our signature First Pages Pitch Contest returns with $200 prize money on offer. They’ll also be a sword fight or two with our Historical Re-enactments & Weapons display! Enjoy a delicious meal at our conference dinner on Saturday 26 October where Anna Campbell will entertain us. You’ll also hear who’s won this year’s ARA HNSA Short Story Contest with a $500 prize. Visit our website to purchase your early bird tickets now! 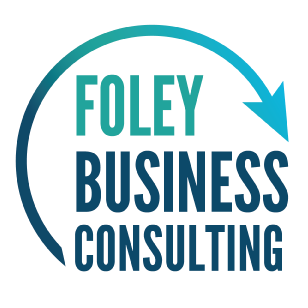 Subscribe to our newsletter for interviews, podcasts and conference news. Let’s make a noise about historical fiction! Kelly Gardiner and Catherine Padmore chat about the craft of writing Historical Bio-Fiction.